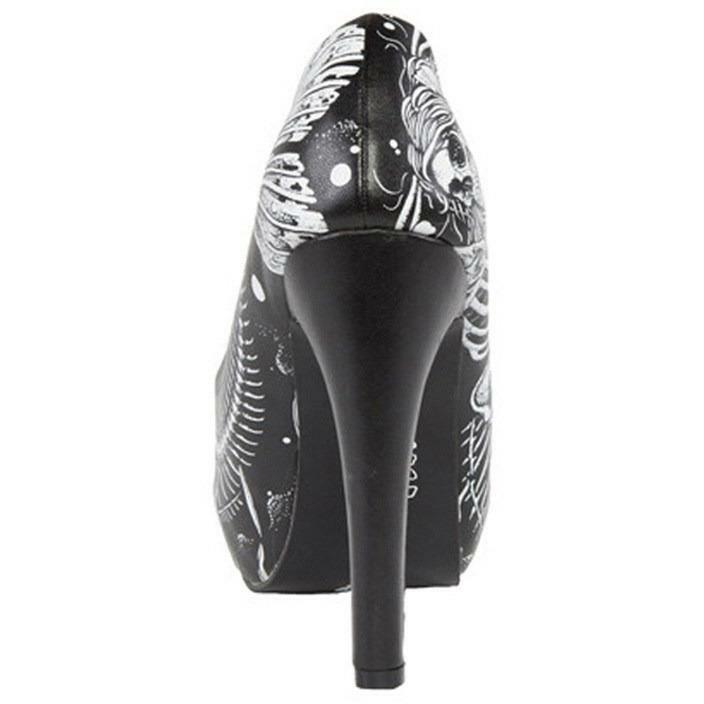 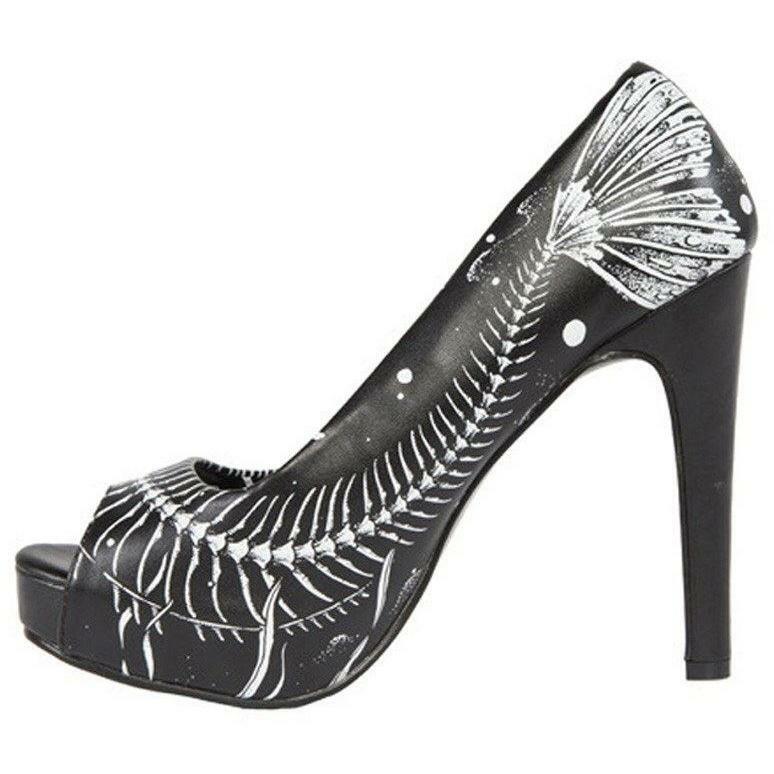 These platform heels are death metal in a peep toe, decked out for all our deep-sea babez with a dearly departed mermaid. 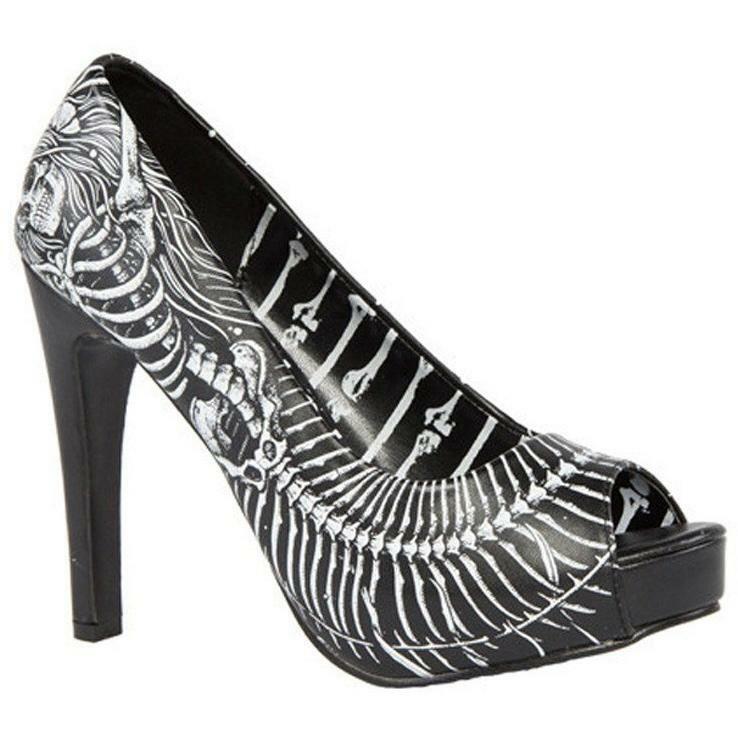 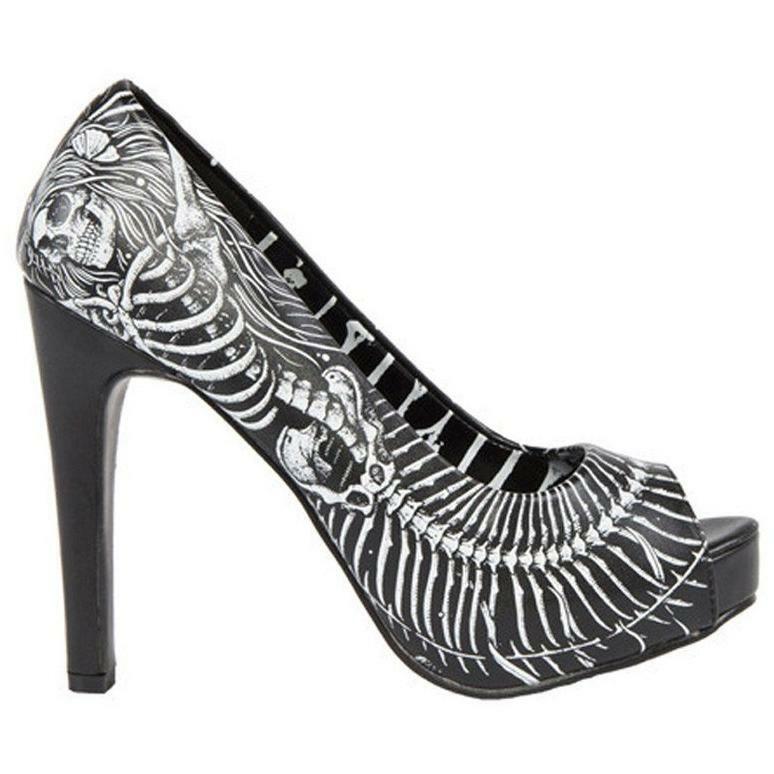 Check out the bones from heel to peep-toe! 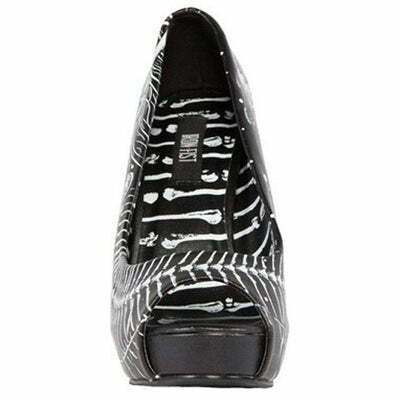 Monochrome style with bone covered lining.